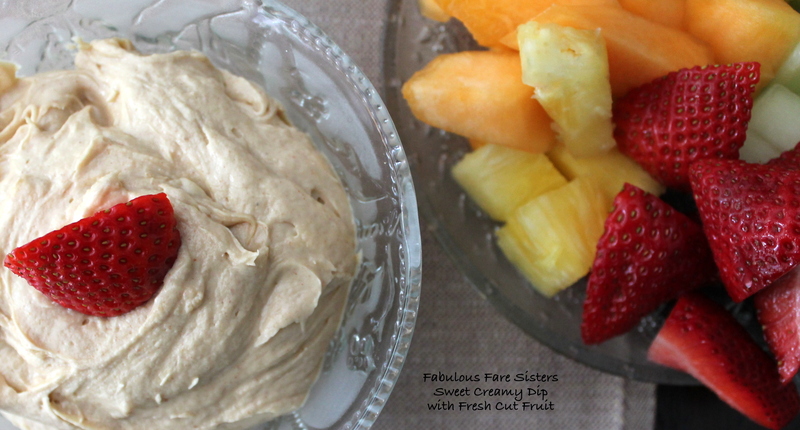 I love a big bowl of fresh cut fruit in the summer – and my boys love the sweet creamy dip I make for them to dunk their fruit into! This is a great side to bring to a summer barbecue or get-together…everyone raves over it! In a medium bowl combine the peanut butter, softened cream cheese, confectioners sugar and milk. Using a mixer, blend until smooth. Cut the strawberries, pineapple, honeydew melon, cantaloupe into bite sized pieces and arrange on a plate along with the grapes. 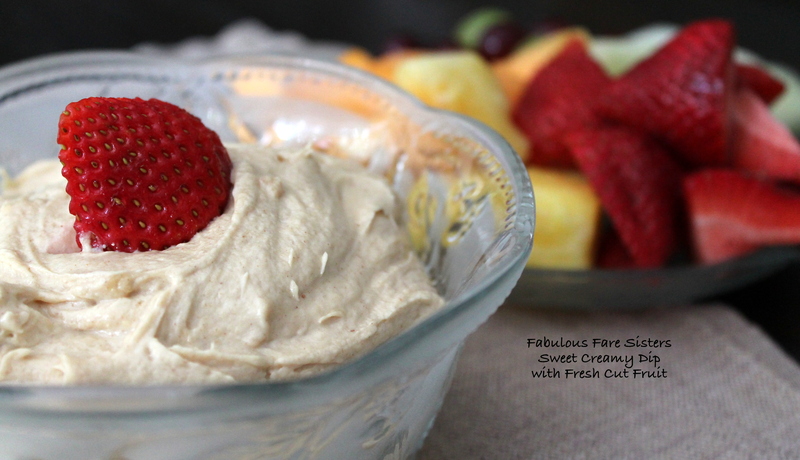 Spoon the sweet creamy dip into a bowl and dig in! Yum….Easy to make too. Thanks for sharing your recipe.